The Toyota 4Runner Safari Snorkel SS450HP offers great protection against dust and water ingestion with a tough, stylish, specifically designed snorkel to deliver a huge volume of cold, clean air. Avoiding dust, water and snow ingestion is essential for keeping your 4×4 moving down the trail. high, safe location where a constant supply of cold, clean air is available. air intakes from Safari Snorkel. Tested and verified on an airflow bench, each ARMAX design ensures that the airflow through the snorkel meets or exceeds that of the factory inlet design. 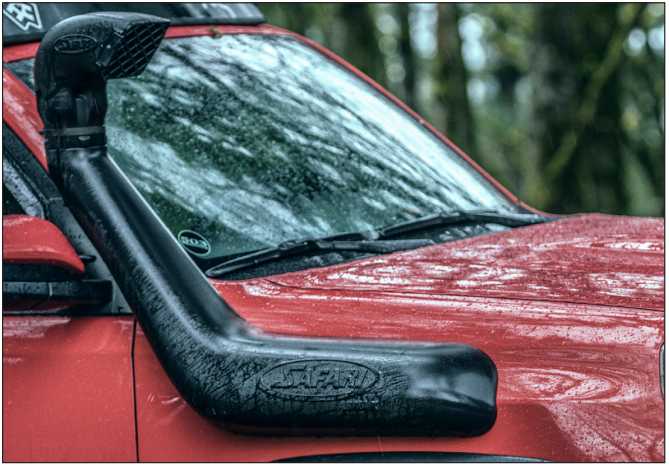 This ensures that if the 4Runner Enthusiast wishes to increase their engine’s performance, the snorkel will meet those needs while providing the cold, clean air that is a standard benefit from any Safari Snorkel model. Total Automotive Performance is excited to share that the 5th Generation Toyota 4Runner can be protected against dust and water with the Toyota 4Runner Safari Snorkel SS450HP from ARB USA. ARB Corporation Limited is Australia’s largest and industry leading manufacturer and distributor of quality, 4WD vehicle accessories, with distribution in more than 100 countries worldwide. The company manufactures and stocks the worlds most respected and sought after 4×4 accessories. Now, we finally have the Toyota 4Runner Safari Snorkel, Part Number SS450HP. What is included with the Toyota 4Runner Safari Snorkel SS450HP? Snorkel Body: Manufactured to the highest standards in durability, UV stable, cross linked polyethylene material. The substantial wall thickness of the snorkel body provides strength for the toughest conditions. Air Ram Assembly: While the air ram is responsible for directing cold, clean air into the snorkel body, it also incorporates a highly effective water separator system that removes rainwater from the incoming air stream. Additionally, the head can be rotated to any position away from the prevailing weather to avoid the choking, build-up of snow accumulation. Connection Hose & Hardware: Designed specifically to suit the required application, the connection hose is made from high quality molded EPDM rubber, which allows maximum air flow from the air ram and body into the air factory air cleaner inlet. A complete installation kit is supplied with each snorkel, which includes all the high quality, necessary fasteners.